ARC provided by Netgalley in exchange for an honest review! Publishing October 26th! 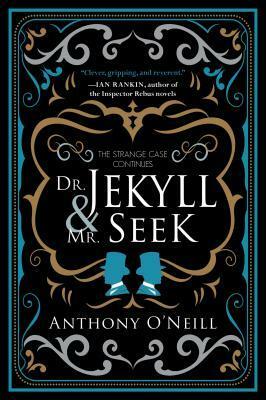 The Strange Case of Dr. Jekyll and Mr. Hyde is not my favorite classic horror story. When I read it years ago, I gave it three stars. Personally, I prefer the musical which takes the story and goes in an interesting direction. So, when I saw this book on Netgalley, I thought it’d be interesting to try. I should have looked at what my friends said. Two of my friends had read, rated, and reviewed it. Each gave it one star. Yeah. Not a great start. And then the story was boring to me. I had no interest in the plot, characters, or anything else presented. Didn’t help that I’m not a huge fan of the original story, but it really hinges on you knowing it. Which I don’t. I know the general idea and end, but, again, I like the musical better. Quickly, I found myself skimming to just get through it since it’s a quick read. Then I reached the point where I was dreading it. Not a good way to read, y’all. So, I called it quits. I think some people will be really into this, but I’m not one of them. What’s your favorite classic horror novel/story?